I am the Member of Parliament for the Totnes Constituency which stretches from Bantham to Broadsands along the beautiful South Devon coast and north to Dartmeet on Dartmoor. I have lived in South Devon for twenty-five years and was privileged to work on the frontline of the NHS for twenty-four years before entering Parliament in 2010. I also spent several years as a police forensic examiner for Devon and Cornwall Police – mostly seeing victims of sexual or domestic violence. For eleven years I worked as a GP on Dartmoor and taught junior doctors and medical students as well as examining for the Royal College of General Practitioners. I was spurred into politics after hearing David Cameron's invitation to those with non-political backgrounds to bring their practical experience to Westminster. I was selected as the Conservative candidate in Totnes after the country's first ever fully open postal primary – which allowed every voter in the constituency, regardless of their political affiliation, to choose the candidate– and I was first elected as the MP for the Totnes Constituency in 2010. I wanted to bring a love of South Devon to the green benches and make Government look beyond metropolitan areas to the issues that face our coastal and rural communities. I was delighted to be named Spectator backbencher of the year in 2014 and again by the Political Studies Association in 2015. In 2015 and in 2017 I was re-elected by MPs from across both sides of the House of Commons to Chair the Health Select Committee. This is a cross-party committee which holds the Government and the myriad of health bodies to account and makes recommendations about policy. During my time as chair the Health Committee has published a number of influential reports on areas such as Children's and Adolescents Mental Health Services (CAMHS), End of Life Care, Primary Care, Childhood Obesity and other important public health and mental health issues including preventing suicide. I have campaigned on social care, health funding, primary care, local health services and on public health. In 2017 I was elected Chair of the Liaison Committee. 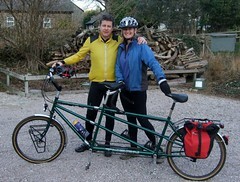 Away from politics, I like to find time for running or keeping up with my husband Adrian on the back of a tandem, anywhere between the Moor and the Sea. Barnardo's has been transforming children's lives for 150 years and in fact my own grandfather was a "Barnado Boy" and you can read more in the following article that was published in the June 2013 issue of Total Politics. I have two photographs of my grandfather as a child. They document his transformation from a destitute child to a confident looking 15-year-old after being taken in by Barnardo's; this organisation was among the first to recognise the campaigning power of pictures. His admission record mirrors the social attitudes of the day – there seems to have been almost as much concern about the possibility of Frederick and his brother becoming "loafers or criminals" as there was about them being vermin-bitten, thin and underfed. Their father was an alcoholic, and after the death of their mother in a Devizes workhouse, the older boys were left to fend for themselves. They led a feral existence in the Wiltshire countryside until the local vicar raised the alarm. There's a reference to the boys being "given some food by a gentleman, who had taken them into his house" and living in cast-offs from neighbours. It wasn't deemed necessary to keep the four children together, and I don't know what became of his siblings Annie, Lilian or John. The grandfather I knew was a silent ghost in the corner of my childhood, too damaged by his own memories to share them. I know that he passed through many institutions, was trained as a gardener and cobbler, fought in the White Russian campaign and was even loaned to the Australian military before a long career in psychiatric nursing. The power of alcohol to tear families apart remains the same, but we have fewer excuses for allowing that to happen. We'll continue to need organisations like Barnardo's to help children and families put their lives back together, unless the government has the courage to look at what makes a difference and to help prevent dependent drinking. Cheap cider stole my grandfather's childhood as surely as white cider at little over 20p per unit destroys the lives of so many children today. Disease, despair and alcohol dependency can be tackled as can the health inequality that is both their cause and result.